Åland  (Finnish: Ahvenanmaa) is an autonomous area in the Baltic Sea, consisting of one main island and a surrounding archipelago. While legally a part of Finland, in practice the islands run their own affairs and are rather different from the mainland. Åland is divided into 15 municipalities and one city Mariehamn. There are a few other small communities on the main island such as Godby or Eckerö, but use care when planning activites or reliance on community services. Outside Mariehamn the communities are tiny and seeing them on a map does not tell the whole story. A so called town might consist only of a few buildings at a cross roads! The Åland Islands (pronounced "Oh-lahnd") are a group of small islands officially belonging to Finland but awarded a wide degree of autonomy by a League of Nations decision in 1921 that settled a long-running dispute between Sweden and Finland. Still at the time when Åland was under Russian sovereignty, a treaty was concluded between Russia, France and the United Kingdom at the issue of the Crimean War, by virtue of which the islands were demilitarized. Finland assumed the same obligation upon achieving independence. Among other things, Ålanders have their own parliament, publish their own stamps, are exempt from military service and maintain a special tax status in the European Union. The archipelago consists of around 80 inhabited islands plus around 6000 uninhabited islands, islets and rocks. The total population is only 28,649 (2013), 90% of which lives on the main island Åland (also known as Fasta (Mainland) Åland), which includes the capital Mariehamn. The islands are monolingually Swedish, a point of some contention in otherwise bilingual (or, in practice, frequently Finnish monolingual) Finland: Närpes, Korsnäs and Larsmo are the only mainland municipalities to be monolingually Swedish. The relationship with mainland Finland is somewhat complicated, the language and culture being the greatest hurdles. Many Ålanders refer to themselves as simply just that; Ålanders (or "Ålänningar"). There's also a growing movement towards full independence, although general consensus is for a more independent autonomy from Finland. Although Finnish is optionally taught in schools, most Ålanders choose not to study it, and while some commercial signs (not any official signs though) are written in Finnish in addition to Swedish and often English during the tourist (summer) season, you should not attempt to get along in it. Communication between Finns unable to speak Swedish and Ålanders is done in English, which is very widely spoken, even by many elderly, so stick to it if you can't speak Swedish or something closely related to it. The relationship to all things finnish, whether spoken or written, is complicated to say the least. There are plenty of ferry connections between Åland and mainland Sweden and Finland. Primarily for tax reasons, ferries plying between Helsinki and Stockholm all stop off at Mariehamn or the nearby (30km east, approximately) jetty of Långnäs, making this the easiest and cheapest way to get in (although docking often happens at inconvenient times in the middle of the night - the Långnäs stops). Mariehamn also has a small airport that serves flights to mainland Finland and Sweden. Mariehamn airport MHQ  - the only airport on the islands. There are daily flights from Helsinki and Turku and international flights to/from Stockholm. The flight from Helsinki is less than an hour and the flight from Turku and Stockholm is only half an hour. Mariehamn airport is situated less than 3km north of Mariehamn. From Grisslehamn (Greater Stockholm, Sweden) to Eckerö (Åland) by Eckerölinjen . By local bus: Take the 676 bus from Tekniska Högskolan to Norrtälje and change to line 637 to Grisslehamn. Tickets can be bought at SL Centres or at local kiosks, but NOT onboard. By dedicated bus. Alternatively, Eckerö Linjen's buses to Grisslehamn depart from Stockholm(Cityterminalen) 2h 15min before ship´s departure, and from Uppsala(Hjalmar Brantingsgatan) 2h before ship´s departure. The buses returns to Stockholm/Uppsala at the ship´s arrival. The Bus+Ferry Combined Ticket can be bought in Cityterminalen(Stockholm), from the bus driver or at the ferry terminal. Note however that the local buses are a lot cheaper and more efficient, and the dedicated buses should be avoided. It takes two hours from Grisslehamn to Eckerö. From there the line 1 bus connects to Mariehamn. From Kapellskär (Greater Stockholm, Sweden) to Mariehamn (Åland) by Viking Line . By local bus: Take the 676 bus from Tekniska högskolan to Norrtälje and change to line 631 or 631X to Kapellskär. Tickets can be bought at SL Centres or at local kiosks, but NOT onboard. By dedicated bus: Alternatively Viking Line's buses to Kapellskär departures from Stockholm](Cityterminalen) 1h 50min before ship´s departure, and from Uppsala(Hjalmar Brantinggatan) 1h 45min before ship´s departure. The buses returns to Stockholm/Uppsala at the ship´s arrival. The bus tickets must be bought in advance. Note however that the local buses are a lot cheaper and more efficient, and the dedicated buses should be avoided. However, Viking Line often have specific offers for free bus journey between Kapellskär and Stockholm/Uppsala when purchasing a ferry ticket. Look out for the offers on their website! It takes two hours from Kapellskär to Mariehamn. This is by far the fastest route between Stockholm and Mariehamn, unless flying. NOTE: If you wish to travel with Viking Line Rosella between Kapellskär to Mariehamn, you should avoid using the international Viking Line website and instead use the website. Become a Viking Club member (which is free and not subject to conditions) and you can travel FOR FREE Kapellskär-Mariehamn. The prices differ a great deal between international bookings and bookings from domestic websites. For example, the price of one-way ticket from Kapellskär to Mariehamn from the international website is greater than a return ticket which includes bus journey. Ålandstrafiken ferries are free to pedestrians and to motorists between the smaller islands. For pedestrians bus lines 4 and 5 from Mariehamn go respectively to Hummelvik and Långnäs, each of which is a terminal for a route to the Finnish mainland. There is a good road network and the island can be crossed by car in less than an hour between furthest points. Traffic is very light all over the island including in Mariehamn. Renting a car is easy in Mariehamn. Fuel is widely available around the island and is similar in price to say mainland Sweden. The trip to Åland through the eastern archipelago (coming from Finland) is something you will never forget. Choose a route through either the southern or northern archipelago. Bookings can be made for trips to and from an intermediate port. Trips from one destination port to another can only be made if you spend a night on one of the small islands. The archipelago ferries is served by Ålandstrafiken . The nearby island of Vårdo can be reached by free cable ferry. 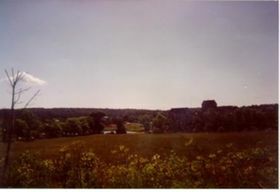 Kastelholm. A castle located in the northern part is worth paying a visit. Partly a ruin today, it was founded in the 1380's and home to many Swedish kings who reigned the combined kingdom of Sweden and Finland from this place. There are guided tours, also in English. Jan Karlsgarden Open Air Museum - very close to Kastelholm castle, it has a number of traditional Aland buildings moved from other areas. Entry was free in 2008, although a fee was charged to visit the prison museum on the same site. Also has a tourist information center and a good restaurant and cafeteria. The fortress of Bomarsund  was built by the Russians during the years 1830-1854. The establishment was thoroughly ruined during the Crimean War when attacked by the allied English-Frenchmen. 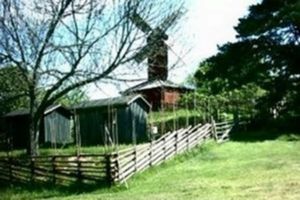 On the other side of the channel, next to the bridge of Prästö, is a small museum where pictures and objects from Bomarsund are on display. Postvägen  The Mail Road dates back to Queen Kristina´s days in the 17th century, when the Swedish postal service of that time was organized. Today the Mail Road looks different but it is still very much alive. 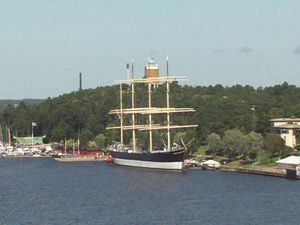 The tall ship POMMERN  in the West Harbour in Mariehamn serves as a memory of the great fleet of sailingships, who once had the town as their homeport. Maritime Quarter , a living marine centre with boat-building activity, a smithy and facilities for other traditional handicrafts, alongside a museum and a café. Hiking, bathing, enjoying the silent countryside. The official currency is the euro (€). Swedish krona (SEK) is usually accepted in most shops and restaurants during the peak season, but the exchange rate is typically not very good, so it is typically significantly cheaper to pay in euros or by card. Compare rates with local banks first. Please note: Shopping in Åland is very expensive. Due to import of most goods, with sometimes unsurmountable difficulties in filling the stores with enough supplies, prices in most stores are in the EU highs, mostly 10-50 percent higher than in the Stockholm or Helsinki metropolitan areas. Prices on some groceries can be even higher, with oatmeal and gruel selling at more than double the price in, say, Stockholm or Helsinki. SALT, in the maritime district of the east harbor, Mariehamn has a selection of local artisan crafts including textiles and glassware, made in Åland. Next to a maritime museum and local jewellery shop. Åland has its own postal service and stamps unique to the island, these make excellent inexpensive souvenirs. Post offices are in several towns and in Mariehamn. In general, souvenir shopping in Åland is difficult. The island is not well presented for international tourists and there are only small displays of the typical souvenirs such as keychains, postcards and mugs. A few of the stores along Torggatan in downtown Mariehamn have these, as well as museums and some of the larger grocery stores. Local beer and apple liquors are tasty and available. Make the porridge using using the instructions of package. Let it cool a bit. Add other ingredients to the porridge and mix it to a stable pancake dough. Pour the dough in a well oiled pan and bake in 225°C oven about 30 minutes until the pancake is smoothly brown. Smoked flunder with potato salad. Svartbröd, Blackbread, as the name implies the bread is almost black. It is round and quite flat but its most characteristic feature is the taste. The blackbread is sweet. The sweetness originates from the syrup that is added to the dough and from the manner in which the bread is baked in the oven. Cheese from the local ÅCA dairy is of high quality. The Kastelholm cheese is particularly recommended, and works well with blackbread. Its roots can be traced back to the 16th century. Åland’s pancake. Traditional and delicious Ålands dessert. The pancake is made on grain of rice or semolina and served with stewed plums and whipped cream. Most restaurants are in Mariehamn. There are few fast food outlets in Mariehamn, like Hesburger, but absolutely not anywhere else on the island. Some restaurants have limited hours of service and some aren't open every day. Stallhagen beer made by Ålands Bryggeri AB and available in most bars and restaurants in the islands. The most common Stallhagen beer type is the traditional, light lager. But Stallhagen also comes in a wide range of other beer types with names like Dark Lager, Dunkles, Oktoberfest and Delicat. And there's no doubt where it comes from: the flag of Åland is on the label. This brewery also has a good lunch from 10:30 to 2pm, around 15-20 euros per person including beer. And, you can have more food if you weren't filled up with what they bring you. Tjudö Vineyard  has three own home-distillers. They distils Scandinavian Vodka from the fruits at the vineyard. The apple vodka is called Ålvados, which is a kind of Calvados. They also make wine - Västergårds Äppelvin - with apples that has ripened on the farm's own trees. You can visit the vineyard, walk around among the fruit trees and see how the wine is produced. The guided tour ends in the old threshing house and here you can sample the drinks directly from the wine cellar. Åland has its own parliament, its own executive government and is generally autonomous from Finland. The cultural heritage though is mostly Swedish. Speaking Swedish and being a part of Finland, the people of Åland regard themselves as a separate and autonomous part of Finland, and appreciate if you refer to them as one. Do not refer to Ålanders as "Finns", as this can be regarded as rude. This page was last edited on 16 March 2016, at 20:40.